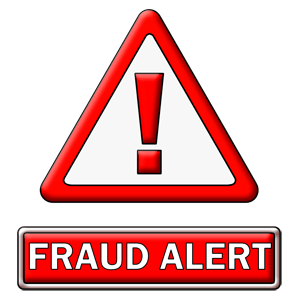 You are here: Home / Citizen Information / Alerts / Beware of These Scams! Your phone rings. The caller ID reads “Internal Revenue Service.” It’s the IRS calling to tell you that you owe taxes. The agent on the phone provides their name and badge number, and the agent provides the last four digits of your Social Security number as verification. The agent tells you the amount of taxes that you owe, threatens consequences of the failure to pay back taxes such as loss of business license or jail time, and takes any questions you may have. Next, they provide you with details on how to pay your back taxes through debit card or wire transfer. Now the question ­– is the IRS agent real or fake? The answer is: fake. This is the scenario of one of the latest consumer scams, which has many Americans sending their hard-earned dollars to the “IRS” only to find out that they have fallen victim to financial theft. I shared this scenario last year. Unfortunately, it’s still one of the top reported consumer scams in the United States. In fact, tax-related identity theft was the most common form of identity theft reported to the Federal Trade Commission in 2014, while the number of complaints from consumers about criminals impersonating IRS officials was nearly 24 times more than in 2013, according to FTC statistics. Scammers call pretending to be a grandchild who was arrested and robbed and needs money ASAP. They start by saying “Grandma? Can you hear me ok?” They’ll wait for the grandparent to say a grandchild’s name (“Justin? Is that you sweetheart?”). Scammers then use emotional pleas to ask for money. For instance, they might say, “Please don’t call my parents – I know they will be mad at me, but I need help and you are the only person I could turn to to bail me out. I need $5,000 for bail.” They’ll provide instructions for wiring money. Typically, these scams target older individuals who are likely to help a grandchild with no questions asked. Scammers use phone call or internet pop ups on your computer. They claim to be an individual from Microsoft, Apple, or another tech company. They tell you that they received an alert that there are errors that need to be repaired on your computer. They will attempt to get remote access to your computer in order to “repair” the bug. These scams often happen at a workplace, where you may be more inclined to share information with a tech support group. Scammers use popular news, like breaking news stories, celebrity images, or other enticing stories to bait you to click on a video or photograph. The click leads you to unintentionally download malware to your computer. First, verify the person you are speaking with or the link you have received is who he, she, or it claims to be. In all of the instances above (and with most telephone and internet scams), the scammers request personal information over a non-secure site (your mobile device, a website, or over the phone). Often, institutions have policies that state they will never request personal information by email, text, or social media. When in doubt, hang up and call the institution or agency using a phone number listed on an old bank statement, from an official website, or other trusted document. If the request is legitimate, the person will be able to direct you to an agent for assistance. Third, learn how to keep your personal information secure online and offline. The FTC has tips for anything from securing your Social Security number to keeping your mobile devices secure: http://www.consumer.ftc.gov/articles/0272-how-keep-your-personal-information-secure. Finally, stay up to date on the latest scams. If you suspect you’re the target of a scam, do a quick search through Google or another search engine to see if something similar has been reported in the news. The Federal Trade Commission regularly posts scam alerts on its website. You can sign up to receive scam alerts by email, too: http://www.consumer.ftc.gov/scam-alerts. If you think you may have fallen victim to a scam, report the incident to the FTC at http://www.ftc.gov/complaint. Also, report scams to your state Attorney General. In Virginia, those complaints can be filed at http://www.oag.state.va.us/index.php/citizen-resources/consumer-protection.